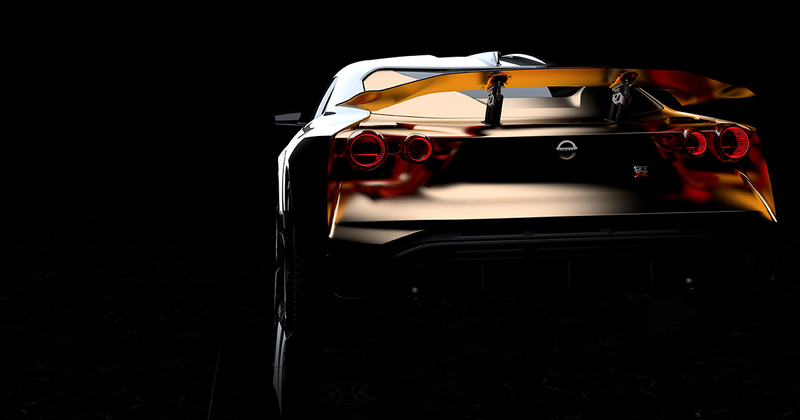 Believe it or not, Nissan's GT-R nameplate has been around for 50 years now. 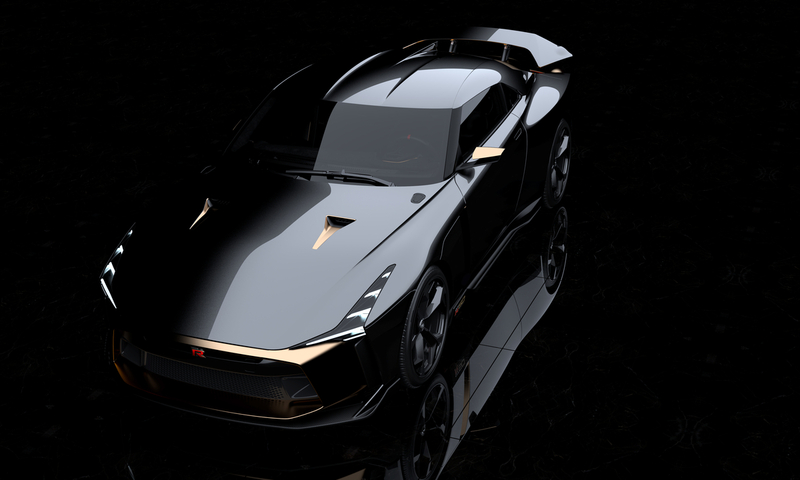 To mark the occasion, the automaker has collaborated with Italdesign—a firm that also happens to be celebrating its 50th birthday—to build the GT-R50 prototype. Built upon a 2018 GT-R Nismo, the GT-R50 is apparently what Godzilla would look like if its designers were not beholden to "limits." Whether that refers to safety regulations or budgetary restrictions isn't clear, but we're thinking it's a little bit of both. "How often do you get to ask, 'What if we created a GT-R without limits,' and then actually get to build it?" said Nissan design senior vice president Alfonso Albaisa. 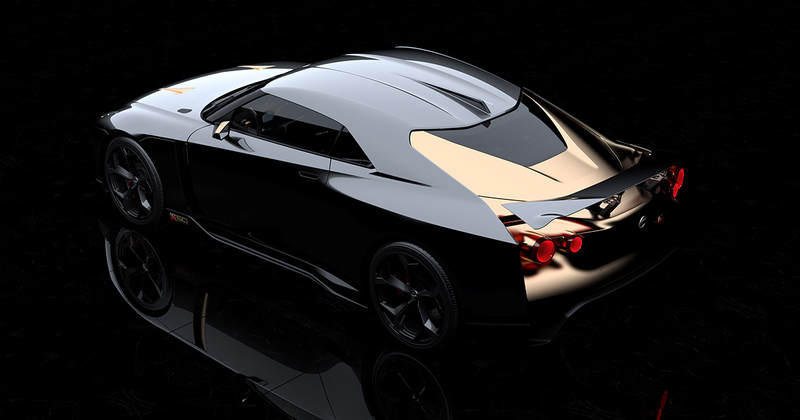 The GT-R50 maintains its base car's general proportions but features new, gold-accented bodywork that heavily references the company's Concept 2020 Vision Gran Turismo. With its disassembled, floating-taillight rear-end and brightwork seemingly made for an Austin Powers villain, the GT-R50's design is likely to be a love-it-or-hate-it affair. On the inside, more gold trim joins two styles of carbon fiber, Alcantara, Italian leather seats, and buttons and knobs made to emulate that of a futuristic race car. Under its striking skin, the GT-R50 is powered by a heavily fettled version of the Nismo's hand-assembled 3.8-liter V-6 that now produces 710 horsepower and 575 pound-feet of torque. That's 110 horsepower and 94 pound-feet more than stock. Nissan says it has achieved this by fitting a new pair of GT3-spec turbochargers, larger intercoolers, a heavy-duty crankshaft, pistons, connecting rods, and bearings. The ignition, intake, exhaust, fuel injectors, camshaft profiles, and oil jets have also been reworked. Its six-speed, dual-clutch transmission, differentials and drive shafts have all been beefed up accordingly. Revised suspension and dampers courtesy of Bilstein keep things copacetic through bends. Oh, and before you ask: No, this isn't the next-generation R36 GT-R, with Albaisa saying so outright in the company's press release. 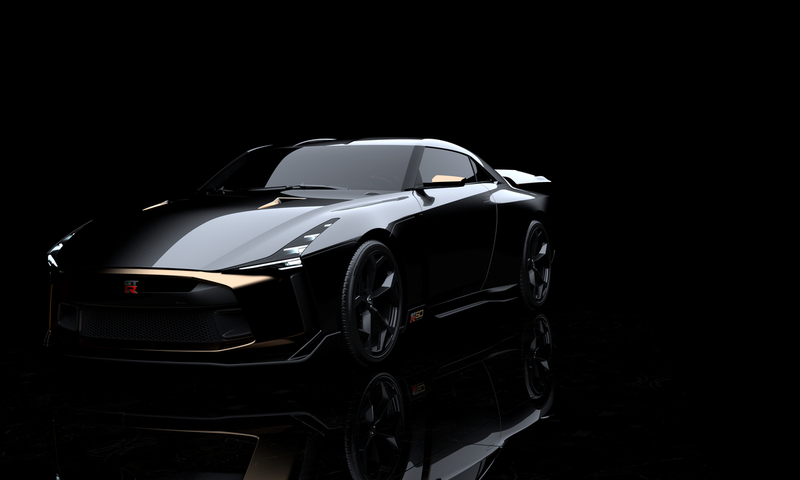 "Although this is not the next-generation GT-R, it is an exciting celebration of two anniversaries in a provocative and creative way—wrapping one of Nissan's best engineering platforms and Japanese design with Italian coachbuilding," said the Nissan exec. 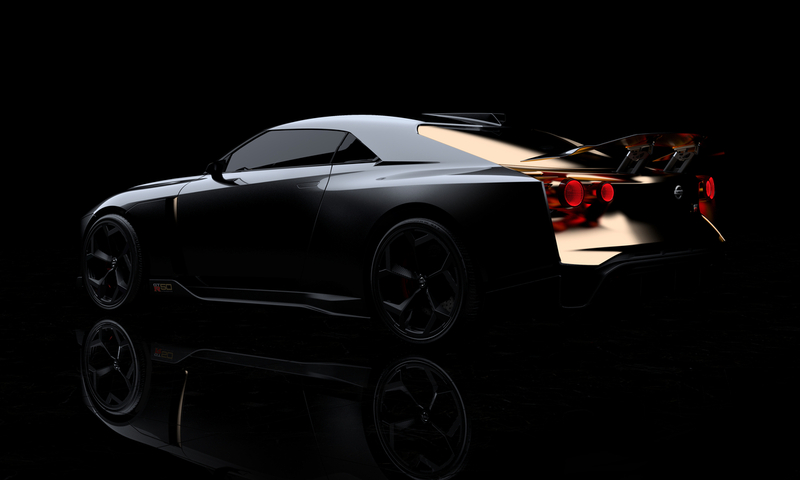 That being said, we can't imagine that car won't share at least some design cues with the GT-R50.